The iPhone 6 is expected to be jam packaged with features and we are excited to review it as soon as it is revealed to us. iPhone 6 is using the iOS 8 operating system providing a newer look with a better muli tasking window. The usage is much better than before as it removes some of the redundant features and simplifies the usage process. The notifications now appear around the top region which is new. Also the notifications will be interactive meaning you can perform tasks right from the notification window rathar then opening the application. The compatibility of iPhone 6 with OS X is much better as it is fully integrated with iOS 8. You can simply Airdrop files between your iPhone 6 and your Mac. Healthkit is a new addition to the iPhone6 which will allow it’s users to monitor everything along with heart ranges etc. A new improvement to the iPhone 6 would be its keyboard. You can now change your keyboard and you no longer are limited to the stock keyboard. .
Siri has just got smarter as Apple has partnered with Shazam for song recognition options to your device. Also Siri can be launched by just saying “Hey Siri” rather than tapping the home button. As for the applications, the Mail can be read , unread or even flagged with simple gestures like swipe. The Message will allow users to send images and video to other iPhone 6 users for free. The web browser Safari has also been update to make it cleaner and to have better user experience. Now, the tuorial to use the iPhone 6 physically. The iPhone 6 has 3 buttons on the left side just like the previous iPhone models and a center home button. The top button has been shifted to the side though. Great camera and battery life makes the device a perfect choice for users who love to take pictures. The 8MP iSight camera has the option to take Continuous focus shots along with great single shot HDR, burst modes and face detection shots. The new 802.11ac Wifi antenna gives the devices 3 times more Wifi signal speed that the iPhone 5s. 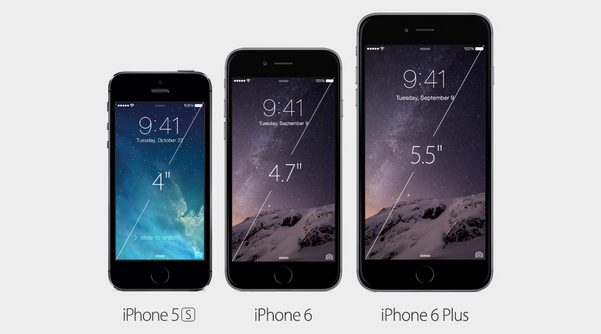 Finally, the iPhone 6 is available in three different sizes 16GB, 64GB and 128GB.